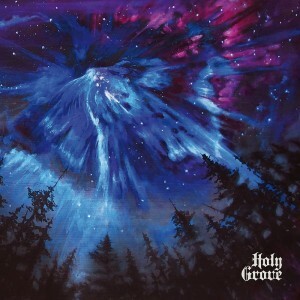 Holy Grove’s first doomy foray is an undeniably solid and considered effort. The enigmatic lyrics of leading enchantress combined with the persistence of the power trio prove equally deadly as they are absorbing. It wouldn’t be imprudent to expect the band's songwriting skill to take them to great places, becasue this debut undoubtedly holds its own, but they are more than capable of translating their stirring vision even further still. ’Death Of Magic’ gets the record rolling on an upbeat rhythm which from the outset seems conflicted with the vocals that pull you into a somber setting. 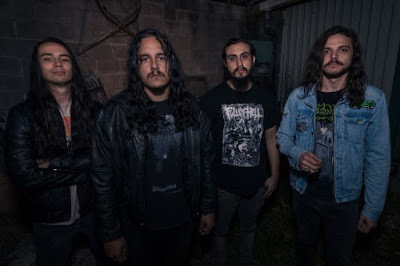 The first track wastes no time flourishing into a merciless rocker which is reliant on voice and riff conversing back-and-forth. The track is devoid of solos either, with perfectly-timed blues-tinged guitar licks helping to take this one onto another level of desperation by the close. As this track ends, we seamlessly flows into ’Nix’, which comes on as an addictive tour-de-force. Bringing along muffled drumming in the distance, it then opens up and introduces a groove of colossal magnitude, that is soon embellished by Andrea Vidal’s singing. Her words calling to mind solitary and dim leave-carpeted woods, the song’s strength lies in this weaved dynamic. When the main riff returns at the apex, the grip indeed takes you under, ricocheting to quench a thirst you were previously unaware of. With Cisneros-worthy bass-plucking bleeding through and the lyrics void of any reprieve, this heavy resonance is the only sure embrace on a trip straight through these feedback-drenched arteries. The tunes in question were both released as first singles and it’s difficult to fault, they’re coupled back-to-back here and they surely establish the tone for the remainder of the record. At this juncture it feels to be a fitting time to note Billy Anderson, whose input at the helm can be felt throughout. The devil’s in the details as the doom is infused by odd background noises that are hardly-noticeable-but-certainly-there. Aptly, at their most concordant the band’s groove is oft reminiscent of none other than Sleep, wherein Anderson’s golden touch can undoubtedly be no less accredited to. Steered by the aural master were also the harmonies of songstress Andrea Vidal, with her powerful bellow taking centerstage almost constantly. It’s obviously difficult not to steal the show when you have pipes that could give anyone a run for their money. This is especially true on the third and self-titled track which features perhaps the most languid intro of the album. Although the vocals initially take the back-burner, with guitar solos carrying the tune further out, the interplay of instruments and voice is a continued theme. First leading in with a desolate intro, that blazing seduction gains momentum through the whole duration of the track as the reverberating admonishings dig deeper into the raspier shades of her reach. When ’Huntress’ clears the air and brings the band in its full force, the sinister tone comes most timely to compliment the entrancing altitude of what has come prior. 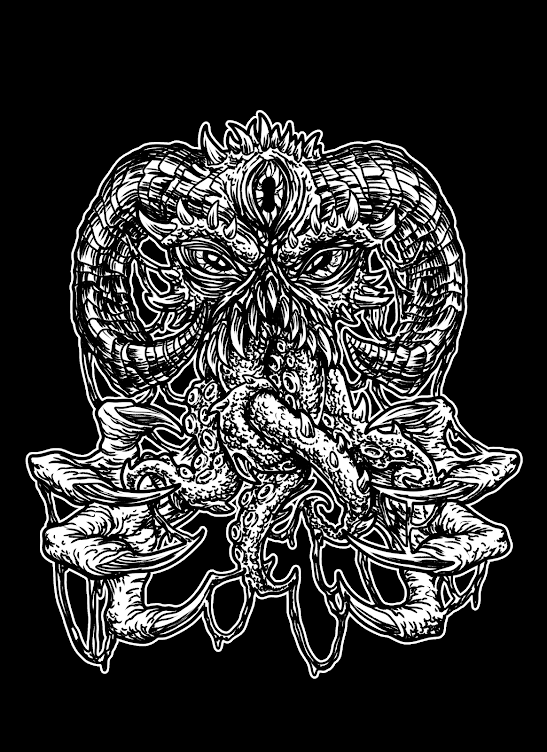 Weighty riffs cut with the sharpness of a pirate’s cutlass as the track becomes increasingly menacing and downright punishing toward the end. Follow-up ’Caravan’ struts on a similarly aggressive lean but brings an intensity of its own. Whereas the similar formula between these two songs might have left one asking for a change-up, the sheer meanness and twists of the latter are novel and clever enough to hold the attention throughout. As per the LP format, similiarly clever is the flipping of sides which functions as the necessary breathing-room inbetween. Despite the recurring and ritualistic opening choral of ’Hanged Man’, this gloomy ballad ultimately deceives you back into the murky depths of the bog. Vidal’s celestite cries delivering the chorus, is the only heavenly respite, alluring in their severeness and echoing one elusively sublime anthem. Nevertheless, no bludgeons are spared with the riffs ever-slowed, reaching higher and simultaneously rendering the fall that much greater, her timbre growing ever more strenous and equally empowering. Same is true on ender ’Safe Return’ with the band tirelessly alongside, showing no remorse by surpassing themselves with tightness of interplay. With an already familiar and unrelenting fervour the album closes glorious on a definite high note.